Perhaps you've heard horror stories about a tiny pet dog or a kitten being snatched up in the claws of a hawk or an owl and carried off, never to be seen again. A hawk took one of my young geese when I lived in the mountains; I know the stories are true. 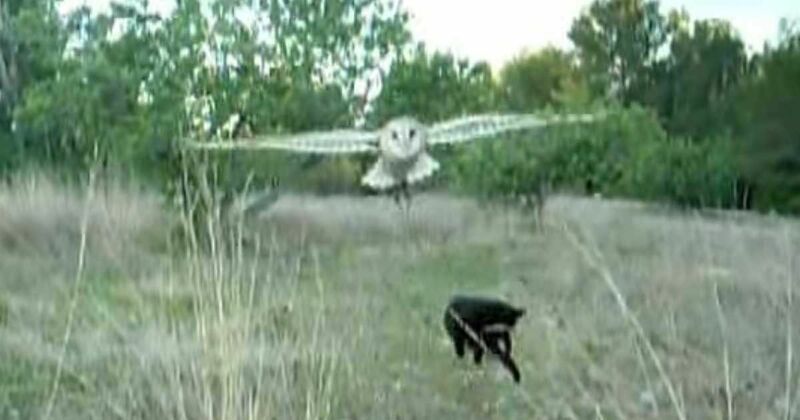 So when I first saw the picture of an owl swooping down on a cat, I held my breath. I NEVER thought I'd see what I did in this video! It looks like the owl is about to grab the cat right out of the air, but that's not what's happening at all. After all, what's a cat doing in the air to start with? Yes, that's right! He's leaping up in the air to reach his friend! 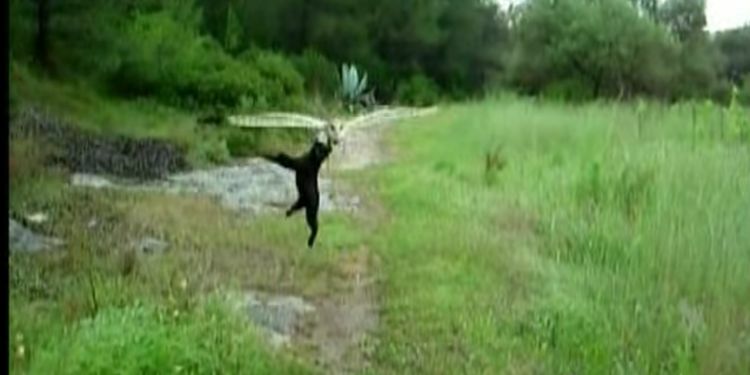 Their antics are fascinating to watch, as the owl swoops and soars and the cat tries to join him in his aerobatics. 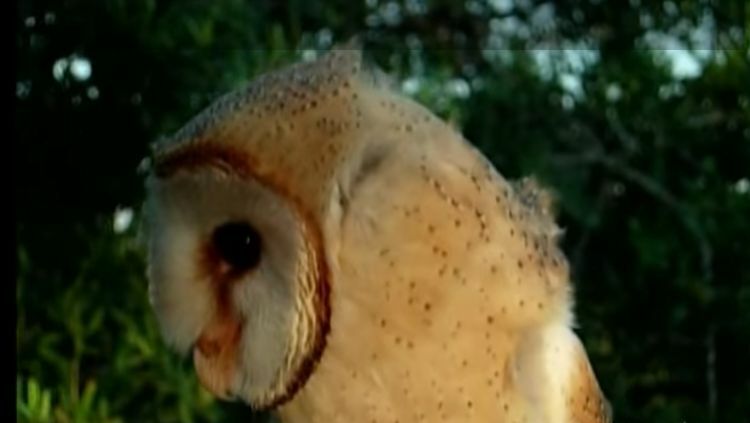 The owl in this video is a barn owl, and the interesting thing is that the male barn owl performs an aerial courting "dance" in front of the female, wooing her with his performance. Is that what the owl is doing here? 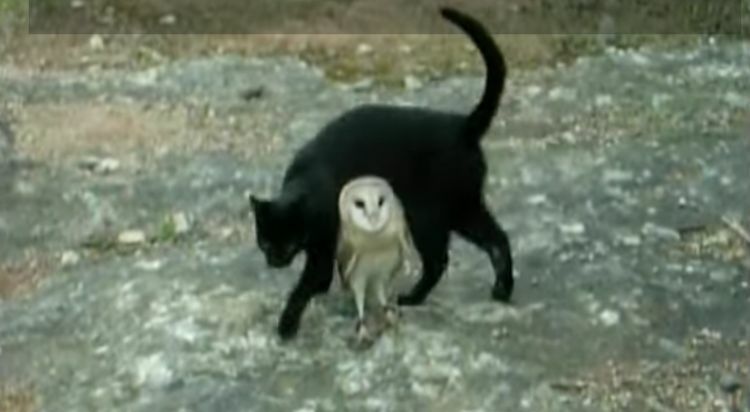 Whether this is a courting ritual or not, it is obvious that this owl and pussycat are best of friends. It kind of makes me wonder: if a bird and a feline—sworn enemies in the animal realm—can love one another, then why can't we love our fellow man? Think about it while you watch this amazing video.